Price: $299-$319 - 20% discount for members! Self-compassion is made up of three elements: mindfulness, common humanity, and self-kindness. 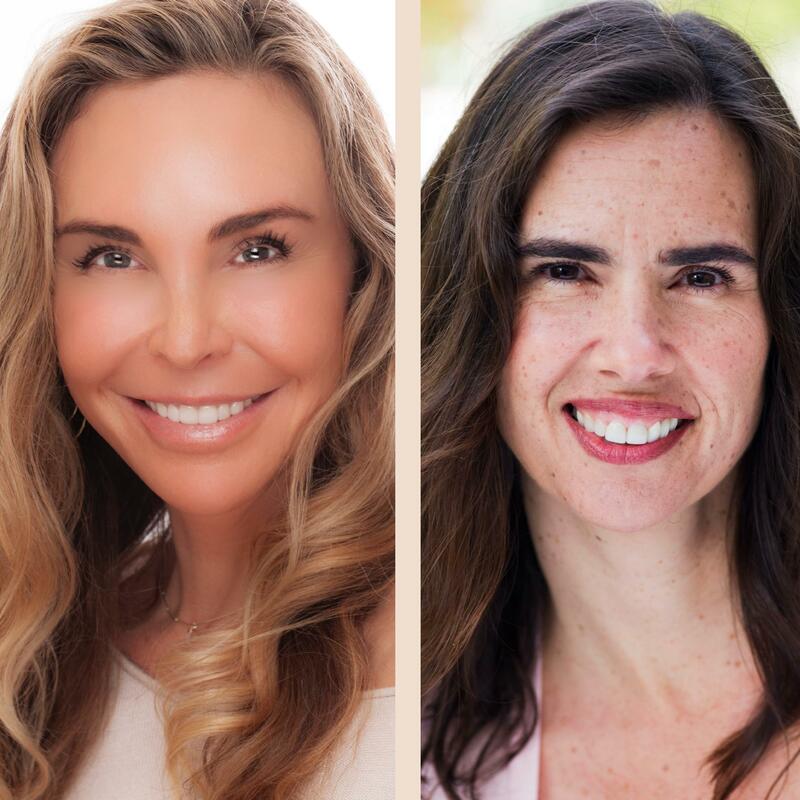 You will better understand the relationship between these elements at this two-day immersive workshop with Kristin Neff, Ph.D., and Shauna Shapiro, Ph.D., internationally recognized experts on self-compassion and mindfulness. Neff and Shapiro will spend two days exploring the unique and overlapping dimensions of mindfulness and self-compassion, with the goal of revealing how to integrate both into our personal and professional lives. Starting with the heart aspects of mindfulness--including cultivating a kind awareness of the present moment--the instructors will then move on to self-compassion, exploring why we find it so hard to give compassion to ourselves and how we can learn to treat ourselves as kindly as we would a loved one. Together, mindfulness and self-compassion can create a state of connected presence during difficult moments in our lives. Neff and Shapiro will also present theory and research on mindfulness, compassion, and self-compassion—all shown to be powerfully associated with psychological and physical well-being—examining their roles in caregiving setting. 10 CEs available for health profssionals and 20% registration discount for GGSC members. Learn more here. Dr. Kristin Neff is an Associate Professor in Human Development and Culture, Educational Psychology Department, University of Texas at Austin. She is the author of the book Self-Compassion: The Proven Power of Being Kind to Yourself. In addition to her pioneering research into self-compassion, she has developed an 8-week program to teach self-compassion skills. The program, co-created with her colleague Chris Germer at Harvard University, is called "Mindful Self-Compassion." Shauna L. Shapiro, Ph.D. is a professor at Santa Clara University, a licensed clinical psychologist, and an internationally recognized expert in mindfulness. She is the recipient of the American Council of Learned Societies teaching award, acknowledging her outstanding contributions to graduate education in the area of mindfulness and health care, and was recently awarded the Contemplative Practice Fellowship by the Mind and Life Institute, which was co-founded by the Dalai Lama. Dr. Shapiro lectures and leads mindfulness training programs internationally and has been invited to present for the King of Thailand, the Danish Government, and the World Council for Psychotherapy in Beijing, China. She has published more than 100 articles and book chapters and is co-author of the critically acclaimed text The Art and Science of Mindfulness, as well as the recent book Mindful Discipline: A Loving Approach to Raising an Emotionally Intelligent Child. Dr. Shapiro’s work has been featured in Wired, USA Today, Yoga Journal, and the American Psychologist. 3. Explain how individuals can motivate personal change with self-compassion rather than self-criticism. 4. Practice ways to use self-compassion, compassion and mindfulness in daily life. 5. Demonstrate skills to use mindfulness, compassion and self-compassion effectively in caregiving settings and avoid caregiver burn-out. NY: R. Cassidy Seminars is recognized by the New York State Education Department’s State Board for Mental Health Practitioners as an approved provider of continuing education for licensed psychoanalysts. #P-0005. (10) clock hours. R. Cassidy Seminars, ACE provider #1082, is approved as a provider for social work continuing education by the Association of Social Work Boards (ASWB) www.aswb.org, through the Approved Continuing Education (ACE) Program. R. Cassidy Seminars maintains responsibility for the program. Approval Period: April 15, 2015-April 15, 2018. Social workers should contact their regulatory board to determine course approval. Social workers participating in this course will receive 10 continuing education clock hours. IL: Illinois Dept of Professional Regulation, Approved Continuing Education Sponsor, #168-000141. (10) hours. NY-LMHCs: R. Cassidy Seminars is recognized by the New York State Education Department’s State Board of Mental Health Practitioners as an approved provider of continuing education for licensed mental health counselors. #MHC-0015. (10) contact hours. NY-LMFTs: R. Cassidy Seminars is recognized by the New York State Education Department’s State Board of Mental Health Practitioners as an approved provider of continuing education for licensed marriage and family therapists. #MFT-0011. (10) contact hours. TX: Approved CE Sponsor through the Texas State Board of Examiners of Marriage & Family Therapists. Provider #151 10 CE hours. TX: Provider approved by the TCBAP Standards Committee, Provider No. 1749-06, (10) hours general. Expires 3/31/2018. Complaints about provider or workshop content may be directed to the TCBAP Standards Committee, 1005 Congress Avenue, Ste. 460, Austin, Texas 78701, Fax Number (512) 476-7297. TX: R. Cassidy Seminars is an approved provider with the Texas Education Agency CPE# 501456. This course is (10) CE Hours. R. Cassidy Seminars is an American Occupational Therapy Association (AOTA) Approved Provider No. 6782. This course is offered for (10) CE Clock Hours (1 Clock Hour = .1 AOTA CEUs). The assignment of AOTA CEUs does not imply endorsement of specific course content, products, or clinical procedures by AOTA. These (10) CE hours are considered RD hours with ICF. These (10) hours are useful for coaches who attend this program, but the material is not directly related to the ICF Core Competencies. Disability Access: If you require ADA accommodations please contact our office 30 days or more before the event. We cannot ensure accommodations without adequate prior notice.